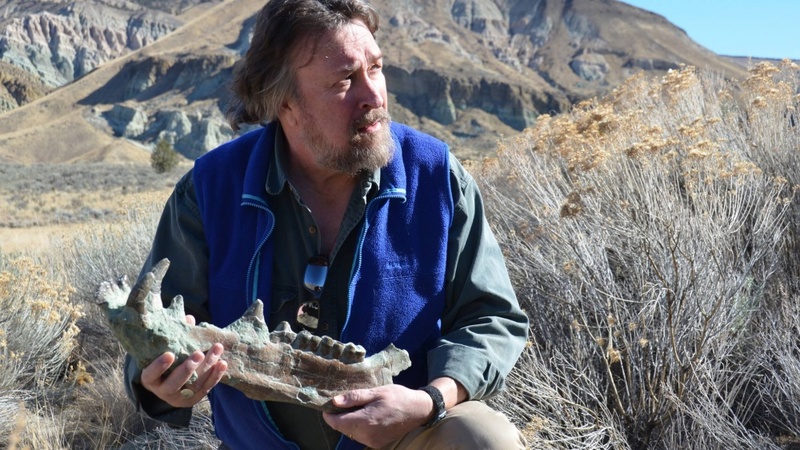 Paleontologist Ted Fremd has had five different fossil species named after him — quite an honor in the world of fossil research — but it’s tough to top the honor he received recently from the Society of Vertebrate Paleontology. At its annual awards ceremony, held Aug. 26 in Calgary, Canada, the organization presented Fremd with its prestigious Morris F. Skinner Award, recognizing Fremd’s outstanding contributions to scientific knowledge through the making of important collections of fossil vertebrates. Fremd, a researcher with the Museum of Natural and Cultural History and the Department of Earth Sciences, served as the first chief of paleontology at Oregon’s John Day Fossil Beds National Monument, where he established the Thomas Condon Paleontology Center in 2004. The only paleontologist ever to serve as a regional science advisor to the National Park Service, Fremd helped define the standards and practices for the collection of vertebrate fossils on public lands, according to senior paleontologist Vincent Santucci. Morris Skinner, an accomplished fossil collector and longtime curator at the American Museum of Natural History, is best known for collecting, cataloging and researching that institution’s Frick Collection of fossil mammals and for championing a new generation of scholarship on North America’s fossil heritage. For the 2017 award, the Society of Vertebrate Paleontology considered contenders from around the world, including nominees from Australia, China, Germany and Japan.